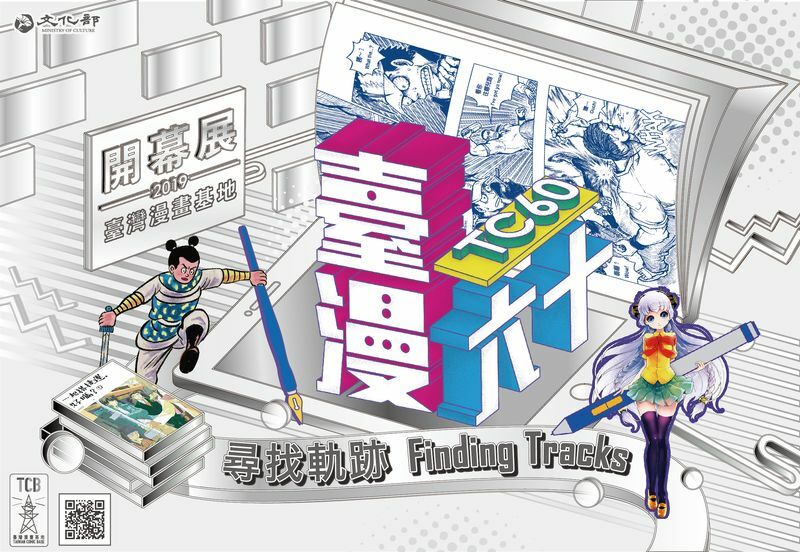 The Taiwan Comic Base, a Ministry of Culture-led initiative for nurturing the creation and applications of original Taiwanese comic content, will officially open its doors with the "TC 60 ― Finding Tracks" exhibition to celebrate 60 years of homegrown creativity. The inaugural exhibition is oriented towards showcasing the history and development of Taiwan comics, encompassing the golden era of nativist comics in the 1950s, censorship under martial law, renaissance in the 1980s, and the contemporary challenges of publishing under the digital era. The exhibition will also highlight the social and political criticism provided by comic panels serialized in Taiwanese newspapers and the educational value of comic magazines for young readers in the 1950s; the chilling effect of the 1966 enactment of "Guidelines to Publishing Comic Strips (編印連環圖畫輔導辦法)"; the proliferation of young talent awards held by publishing houses to recruit new artists in the 1980s; and the trailblazers who have found thriving niches and strong voices despite the global downturn in publishing revenue. To delineate this history and pay tribute to those whose comic characters have become household names, curator Wang Pei-ti (王佩迪) has gathered the manuscripts and artworks of 40 enduring comic creators from three distinct generations who were active in Taiwan between 1958 and 2018. Several of these works were forcibly altered or outright banned during their debut. To offer a glimpse of what the future may hold for Taiwan's comic creators, Wang has also curated a contemporary selection showcasing independent zines, collaborative works, and other homegrown comics that delve deep into Taiwanese society, history, and aesthetics. With an eye on digital publishing trends and the ACG sector, the exhibition has also employed 3D and AR technology to offer a digital slot machine based on Liu's "Brother A-san and Big Auntie (阿三哥與大嬸婆)" series; 3D projections of characters from Golden Comic Award winner Ruan Guang-min's (阮光民) works; and a digital darts game based on Yeh Hung-chia’s (葉宏甲) "Zhuge Silang (諸葛四郎)." Visitors Today:50. All Time Visitors:1,229,857.